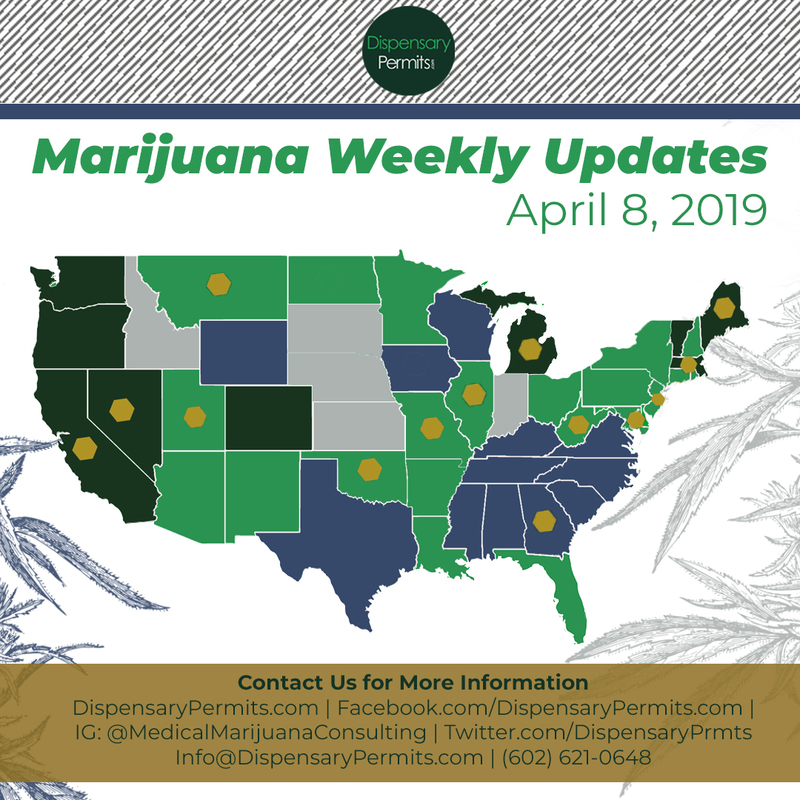 South Carolina – The S.C. Department of Agriculture has granted permits to 40 farmers – out of more than …For information on this state update, subscribe to our Marijuana Weekly Updates. Indiana – Leaders of Indiana NORML met with a small group of supportive Madison County residents on …For information on this state update, subscribe to our Marijuana Weekly Updates. Arizona – California-based MedMen recently signed a $33 million-dollar deal to acquire a the vertically integrated ...For information on this state update, subscribe to our Marijuana Weekly Updates. Florida – The Florida House has joined the recent legal dispute regarding the constitutionality of a 2017 law ...For information on this state update, subscribe to our Marijuana Weekly Updates. Michigan – Court of Claims Judge Stephen Borello has halted the state’s self-imposed deadline to issue licenses ...For information on this state update, subscribe to our Marijuana Weekly Updates. New Jersey – A Rutgers-Eagleton poll gathered that 58 percent of New Jersey residents support the legalization of ...For information on this state update, subscribe to our Marijuana Weekly Updates. New Mexico – Judge David Thomson, in a ruling made public on November 2, 2018, invalidated the 450-plant limit ...For information on this state update, subscribe to our Marijuana Weekly Updates. 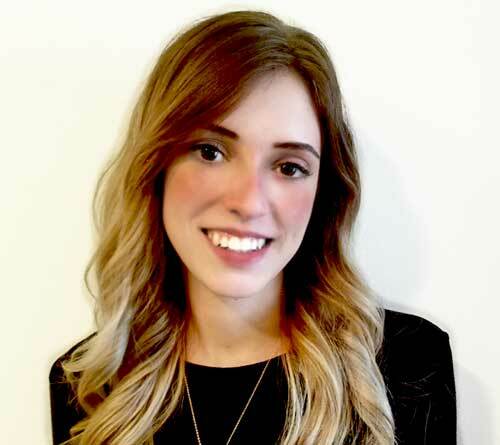 New York – AB11390, a bill introduced last week by Assemblyman Richard Gottfried and cosponsored by 17 of ...For information on this state update, subscribe to our Marijuana Weekly Updates. Ohio – The Ohio Medical Marijuana Control Program (OMMCP) will consider new qualifying conditions for the ...For information on this state update, subscribe to our Marijuana Weekly Updates. California – California has issued its first full annual cannabis business permits, granting two recreational cultivation ...For information on this state update, subscribe to our Marijuana Weekly Updates. Maine – Maine is delaying the opening of its marijuana consulting proposals until November 8, 2018, giving applicants ...For information on this state update, subscribe to our Marijuana Weekly Updates. Massachusetts – Massachusetts anticipates recreational sales to open within two weeks. According to the Boston ...For information on this state update, subscribe to our Marijuana Weekly Updates. 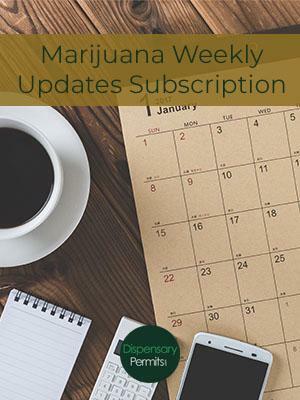 Oregon – Underlining the black-market and oversupply issues currently facing licensed cannabis businesses in Oregon, law ...For information on this state update, subscribe to our Marijuana Weekly Updates.